The Segal Foundation is very pleased to announce that The George Segal Papers are now preserved in the Manuscripts Division, Department of Rare Books and Special Collections at the Princeton University Library. They contain more than a hundred boxes documenting the artist's creative life from the 1930's until his death. Materials include correspondence, business files, exhibition catalogues and posters, original artwork, sketch books, photographs, and biographical information. The papers are available for research at Princeton. 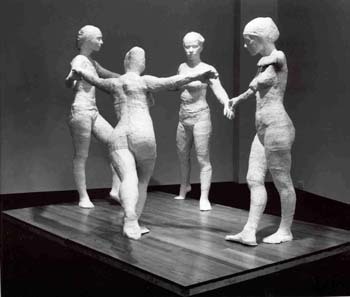 For a comprehensive guide go to George Segal Papers. Click here for information on visiting hours and access. Reference queries may be addressed to rbsc@princeton.edu. The foundation does not handle sales at this time.